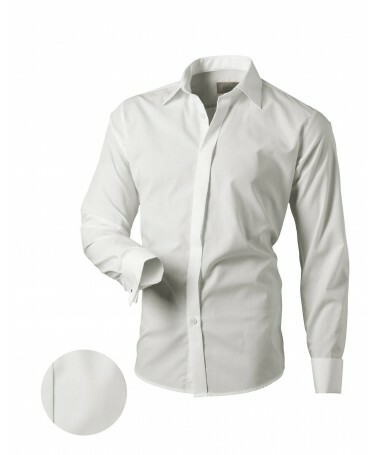 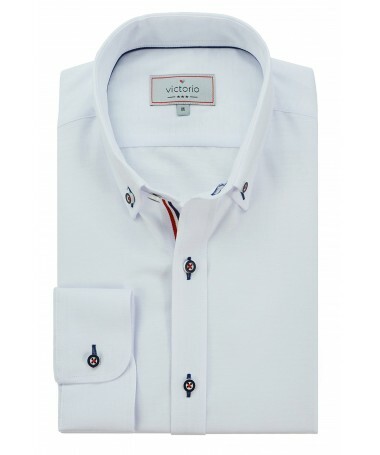 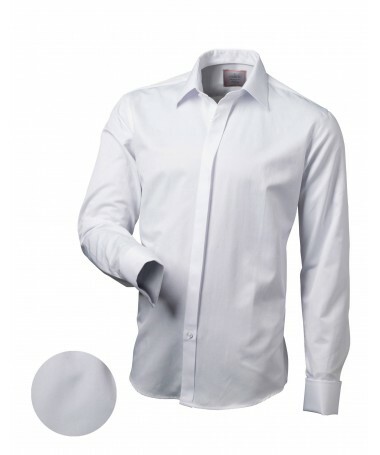 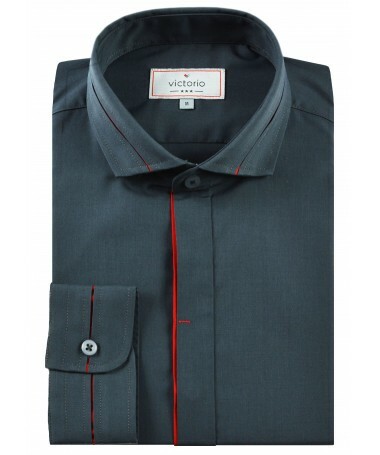 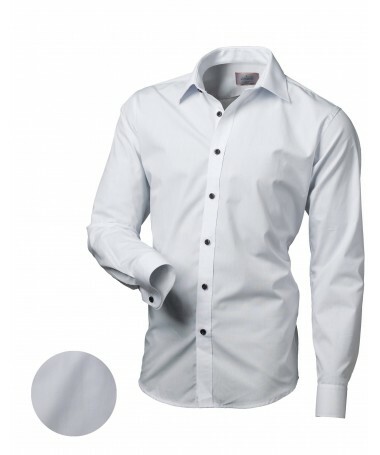 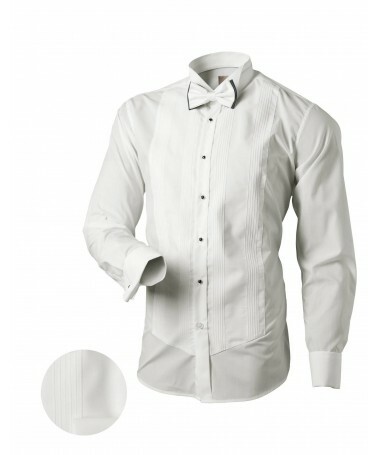 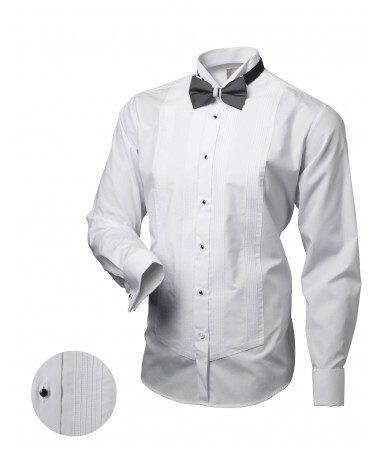 Victorio men's white tuxedo slim fit shirt with a covered fold. 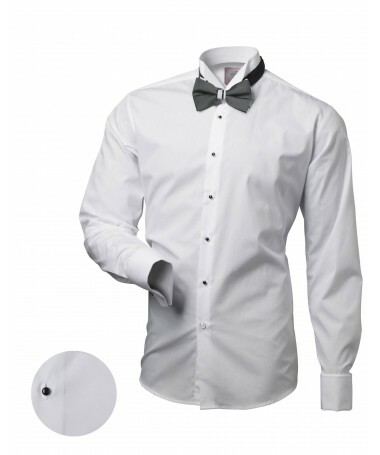 Victorio men's white tuxedo slim fit shirt with a covered fold. 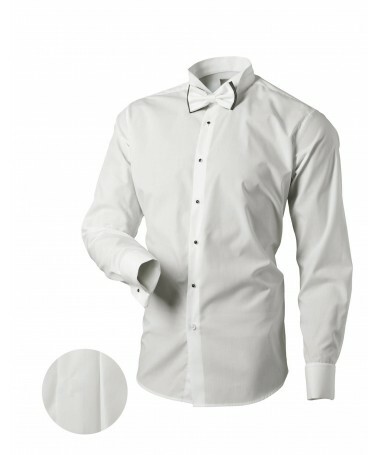 Cut from luxurious cotton, this tuxedo shirt is designed with french cuffs and a formal wing collar for an elegant look. 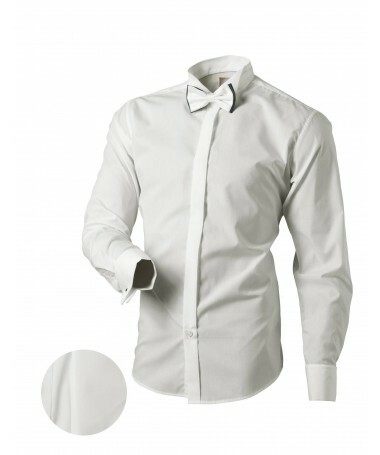 The collar has a tunnel on the back made for wearing a bow tie more conveniently and certainty that it won't be moving all night.